Hedge fund manager John Paulson, who founded Paulson & Co. back in 1994, has become very popular since he made a fortune betting against subprime mortgages in 2007. The billionaire investor started his hedge fund with only $2 million, and currently oversees more than $19 billion in assets. However, Paulson & Co. cannot be generally considered as a consistent hedge fund firm, thanks to the significant losses that it incurred in 2011 and 2012. Even so, Paulson’s decision to buy credit-default insurance against subprime mortgages points to the fact that he has a different and well-thought view on the markets and the U.S economy in general. The value of Paulson & Co.’s equity portfolio declined to $19.27 billion from $21.69 billion during the third quarter, owing to the turmoil in the stock markets and the fund’s rebalancing efforts. Having said that, let’s proceed with a discussion of John Paulson’s top stock picks at the end of the September quarter and their recent performance. We track hedge funds and prominent investors because our research has shown that historically their stock picks delivered superior risk-adjusted returns. This is especially true in the small-cap space. The 50 most popular large-cap stocks among hedge funds had a monthly alpha of about six means investors would have generated ten percentage points of alpha per year simply by imitating hedge funds’ top 15 small-cap ideas. We have been tracking the performance of these stocks since the end of August 2012 in real time and these stocks beat the market by 53 percentage points (102% return vs. the S&P 500’s 48.7% gain) over the last 38 months (see the details here). Paulson & Co. lifted its stake in Starwood Hotels & Resorts Worldwide Inc. (NYSE:HOT) by 3.60 million shares during the third quarter. Earlier this week, Marriott International Inc. (NASDAQ:MAR) announced an agreement to buy the hotel and leisure company for approximately $12.2 billion, which would create the world’s largest lodging company. Under the terms of the merger agreement, Starwood’s shareholders are set to receive $2.00 in cash and 0.92 shares of Marriott common stock for each share of Starwood, which yields a compensation of roughly $68.95 per share at the time of writing. Marriott’s management anticipates that the merger could result in at least $200 million in annual cost savings in the second full-year after closing the merger. Daniel S. Och’s OZ Management added 4.97 million shares to its position in Starwood Hotels & Resorts Worldwide Inc. (NYSE:HOT) during the third quarter, which amounted to 11.24 million shares on September 30. 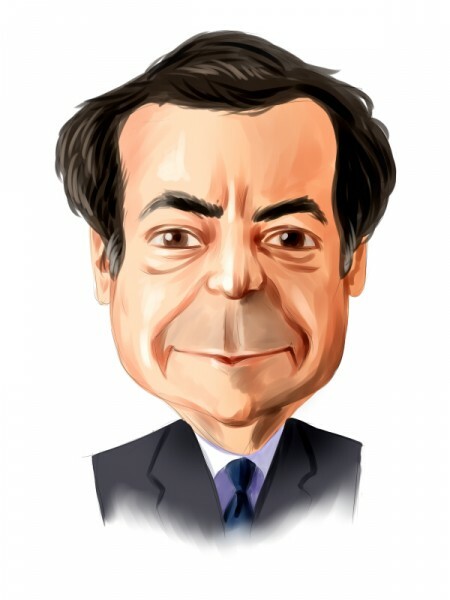 John Paulson’s hedge fund firm cut its exposure to Shire PLC (ADR) (NASDAQ:SHPG) by 289,900 shares during the September quarter, remaining with 6.81 million shares. Earlier this month, the biopharmaceutical company agreed to acquire Dyax Corp. (NASDAQ:DYAX) for $37.30 in cash per Dyax share, which yields an aggregate value of $5.9 billion. Just recently, Leerink Partners upgraded Shire to ‘Outperform’ from ‘Market Perform’ and raised its price target on the company’s stock to $239 from $220, citing recent promising OPUS-3 study results and the acquisition of Dyax. These recent developments could eventually bring in two high-potential drugs to Shire’s drug portfolio, which could boost the company’s top-line in the future. Samuel Isaly’s Orbimed Advisors reduced its position in Shire PLC (ADR) (NASDAQ:SHPG) by 641,600 shares during the latest quarter, owning 664,400 shares at the end of September.